Remember being fascinated watching a Slinky climb down the stairs? Or maybe you remember getting a picture off of the Sunday funny papers from a glob of Silly Putty. Those days were magical. Being born on the very end of the Baby Boom meant getting the very best of the 60's – all the magic and wonder without any of the concerns the grown-ups had to deal with. No matter when you were born, there is one thing that will always be a part of us and that is the music. If you were born in the 60's then there will always be a part of your history that is tied to the Beatles. Whether you were a fan or not, they were a defining part of the era. My Auntie was a HUGE fan. My Auntie is just a year older than me so she was more of a sister/cousin than auntie. 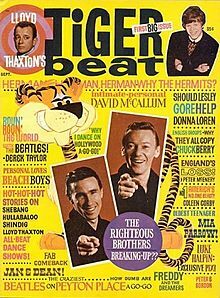 She had all of their albums and in a pre-Google time, when all of our news came from Tiger Beat magazine, she seemed to know all the deets on the Fab Four. The first time I watched the The Yellow Submarine I was pretty young. I loved all the colors and the way the story line tied all the different Beatles songs together. It wasn't like any other movie I had ever seen and it certainly was different than any cartoon I had ever watched. Even still, I figured there was probably something going on in the story line that I was missing but I didn't worry about it too much. Flash forward 40 years and this movie is even better than its original release. I watched the re-release yesterday on a promo disc sent out in advance but I am still going to have to go out and buy my own copy on Blu-Ray as it comes with all the extras and special features. There are some great articles online about how this movie came together and what was going on at the time but I decided to watch the movie without reading anything about it first to see how much I would like it (again) without any of those prejudiced memories. As I was watching this movie I thought of all my friends turning 50 in the next couple of years and how this would make a PERFECT birthday gift. For anyone who is turning 64 this is an IDEAL gift as the Beatles song “When I'm 64” is one of the featured songs in the movie. This is a movie I can imagine putting on and letting it play in the background when my girlfriends come over for a glass of wine. The songs are fun and the sound is spectacular. 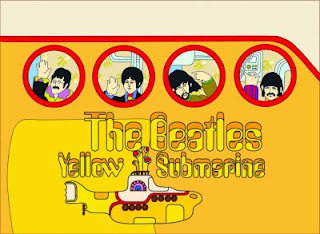 I highly recommend having your teenager hook up surround sound in your family room so you can enjoy The Yellow Submarine in its remastered Dolby 5.1 stereo glory. The final scene in the movie, that features the actual Beatles, brings back the playfulness of the time and the wonderful camaraderie that made us all fall in love with the Fab Four in the first place. Regardless of whether you are 64 or just 14 this movie is a ton of fun. It's crazy. It's silly. It's whacky. Most of all, it will take you back to a magical time when anything was possible. As my twitter friend, @dipaolamomma, said "oh I love me some freaky Beatles psychedelic cinema." 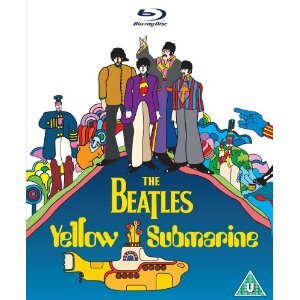 * The Yellow Submarine is now available on Blu-Ray and DVD. This post was sponsored in the form of receiving a free promo disc of the movie (without all the goodies that come with the Blu-Ray edition which I am going to have to go out and buy anyway). Links in this post are my Amazon affiliate links. My opinions and personal experiences from the 60's are all my own or at least as much as anything really can be our own.